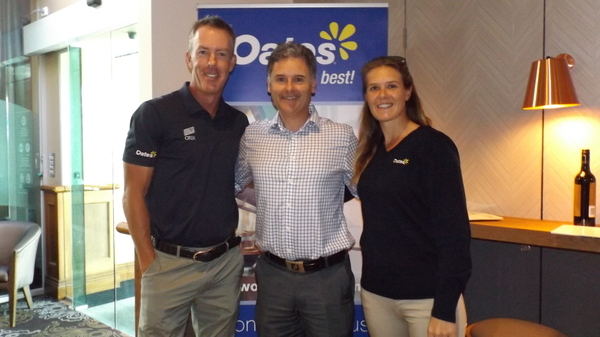 LOCAL business identities met defending Victorian Open champions Richard Green and Marianne Skarpnord at the tournament’s 2016 launch last week at the Grovedale Hotel. 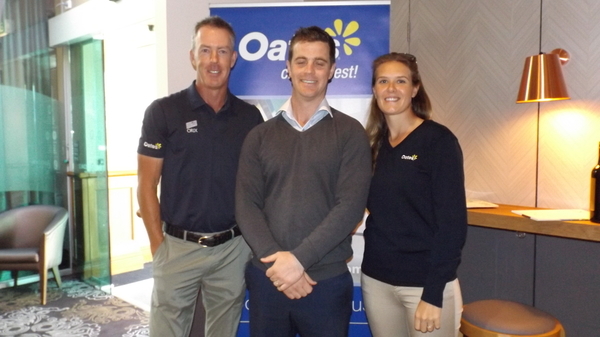 Ocean Grove footballer Andrew McLeish, who works with the Adcell Group, and Thirteenth Beach Golf Links general manager Anthony Masters met the star couple on Wednesday 17 November. Green won the men’s event in a playoff earlier this year, while his fiancée Skarpnord won by three shots in the women’s event. The 2016 Victorian Open will be played at the picturesque Thirteenth Beach Golf Links in Barwon Heads from 4-7 February for the fourth consecutive year.